This beauty is versatile. A gift…holiday decor… year round accessory… hanging orb… plant hanger… table top decoration, you name it, it works, and the possibilities are endless! Honestly this craft is addicting. I have visions of Himmeli running through my head, all the live long day. I can envision a Himmeli version of just about everything at the moment, so don’t be surprised if I give in to my whims a bit for the next few weeks. 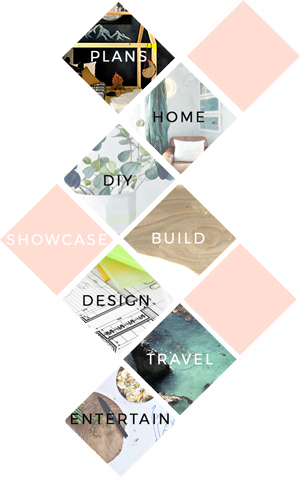 I promise to post other projects that are non-himmeli related as well for our Handmade Holiday Decor and Gifts series… pinky swear… Follow along here for all of the handmade goodness. To keep this from becoming a super long post, I am going to begin from the point where you have created a Pentagon shape. For the steps to get to this point, read the first several steps from this post on creating a Faux Brass Himmeli Wreath. It will walk you through in detail! Once you have done that, come back here and we shall move forward.. . It will help if I explain that every single side and angle will be a pentagon. You will quite literally continue adding triangles until you are left with a diamond and all you need to do is split the difference with one last straw. To begin, turn your pentagon facing downward and we will work from here (see below if you aren’t sure which side is downward). Now we are going to work in a similar manner to how we did in the wreath, at least for a bit. In the image below, you can see that the bottom half of our pentagon has 2 triangles. This means to complete that face, we will need to add 3 triangles. This is the only time we will need to add 3, and from here forward it will be 2 or 1. To add the first triangle, simply chain on 2 straws and run your string through the straw adjacent to the string in the image below (it’s guiding the way in a manner of speaking). Now repeat by threading on 2 straws and then running your thread through the straw shown next to my loose string below. Now all you need to do to complete this face is string one straw and connect the 2 triangles, then run your string through the side you see adjacent to my loose string end below. You need to constantly be pulling your string tight. Tension is key for this. I like to tie off each time I complete a face, just to keep the tension adequate. Things can get crazy if you don’t. Once you tie off, your shape will look like mine below. If you turn your piece horizontally, you can see that you have 3 triangles on this new face, and will need to add 2 more triangles to complete this face. From here I am going to let you at it. You don’t need me any longer for these steps, but if you get stuck, just review above or on the wreath project and you will start to get the hang of this. There really isn’t a right or wrong and everything can be fixed if you make a mistake, which you won’t. From the image above to create 2 additional triangles you simply thread 2 straws and run your string through the straw on the bottom left hand side of the shape. Then, thread one straw and connect the two triangles just like in the previous step. Tie it off to keep it tight and turn it around to the other side and add your two triangles there. You will essentially repeat the process until you have nothing left but a diamond shape and you will simply need to thread a straw to divide it and tie off. Below is about where you should be when you add the 2 triangles to each side of the shape from above. Just remember to tie off after each face is complete and keep your string nice and tight. Remember that each face should be a pentagon shape with 5 triangles. Keep turning and completing your 5 until you meet in the middle. Run your string through a straw that makes sense for where you want to go next and just remember that if you run out of string, just tie off and start a new one. No big deal. I was confused forever too!! As you go through, just make sure each pentagon is made. It will come together that way.